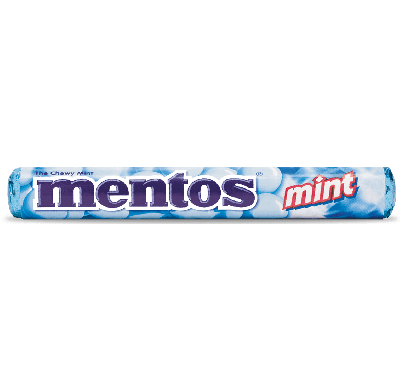 Mentos Mint from Van Melle, the hard and chewy candy known the world over. 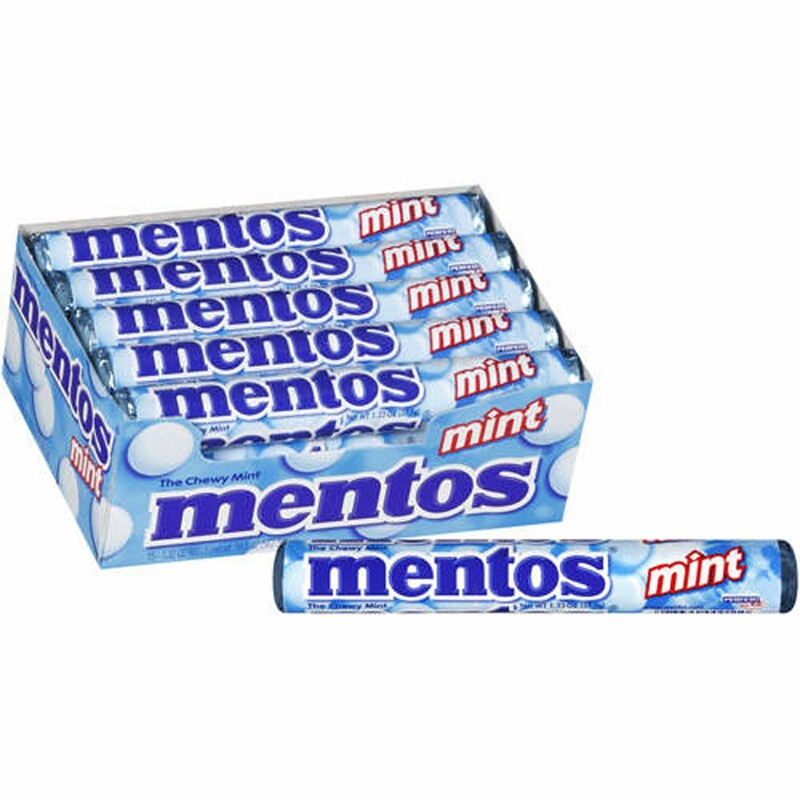 The hard outer shell of these refreshing fruit Mentos dissolves in your mouth, revealing the chewy candy inside. These candy classics come 15 rolls per pack.